Before I get started with today’s post, I want to thank you all for the lovely comments left on my last post. I really and truly read each one and I wish I could have answered each one as well. I tell people all the time that I have the best readers ever and I just hope you all know how much you mean to me. I would be exactly no where without you and there isn’t a day that goes by that I don’t count my blessings. I randomly chose winners for the clay tag giveaway and they have been notified. We hope to do this more often since it was such a success…so stay tuned. A few of you have asked how my parents are doing. I am happy to say things are going quite well. My dad is almost fully recovered from his surgery and things are slowly getting back to normal. I am still going over to their house a few times a day to help out, but that should wind down in the next week or so. I had a couple of bad days when I wondered if I could keep going. I never came unglued in front of my parents but there were a few times I took my frustrations out on my husband. He has been an incredibly good sport about all of this and didn’t deserve it…but at the end of the day I guess it was better I let loose with him and not my mom or dad! Anyway, thank you all for your prayers and kind words. Have fun looking at all the links…see you soon! 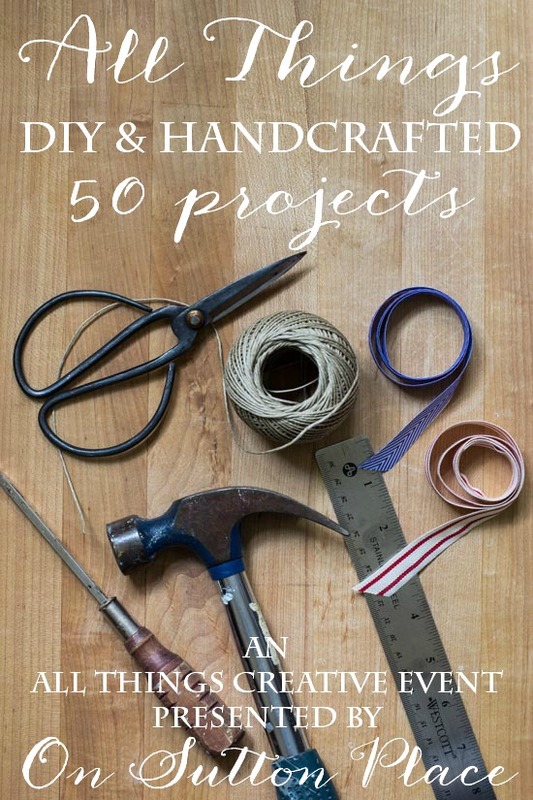 So many great projects… I think your burlap ones are my favorite! These look like some great DIY projects. I am looking forward to checking out each one of them. Thank you for hosting. It is good to hear your parents are doing well. Ann, I’m so glad to know that your dad is doing better and that your parents are resuming their normal routine. You are such a good daughter. Leo is my sounding board. too. I thought I needed patience when I taught school, but I’ve had to summon it so much more while being my mom’s caretaker. But I try really hard to never, ever let her see my frustration while Leo feels the brunt of it quite often. 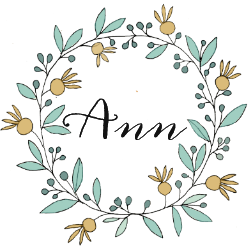 I am just loving this month’s round up of awesome ideas, Ann! Pinned! Ann you may not realize, that the time you take to present the D.I.Y. Things, for many of us who don’t really feel able on our own. I for one appreciate, the ease of being able to produce something, right here in my home. Many thanks Ann..you are very special. My mom died last year, from dementia and at the age of ninety three. People used to tell me that I was a good daughter. I would say thank you, but I did not agree. I knew I had many unkind thoughts in my head. Now I realize that is not unusual, and it was what I did that counted. I was kind and loving to my mom until the end, and that’s all she knew. And my husband understood, just like yours. PS I would have my mom back in a heartbeat – dementia and all. Awesome graphic…I am taking notes, girl. Thank you for all these wonderful ideas and i am so glad everything is going well with your father, have a great day. So glad to hear your parents are getting back to normal – for them– having shared with my husband the primary care of two dementia parents, until nursing home placements and even more so while in the home — I understand the struggles..And yes, sometimes you do come unglued…I did … was working, had a child at home and it seemed life as going by but i was standing still… I really needed my faith and friends support. Hope each day will get a little better for you..I love this blog — my style — and thanks for replying to me a few weeks ago when I asked about what type of clay you used for the beautiful tags and ornaments — I got some DAS and it does what I need – thank you so much!!!! Ann I am so happy your Parents and Dad are doing well. A lot has to do with you, your love care and support of them. As much as you are lucky to have them, they truly are blessed to have a daughter like you! 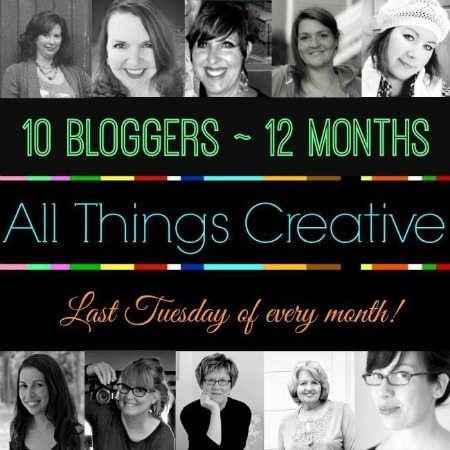 Great round up this month…WOW what a talented group. LOL!